This section contain information about new releases and products as well as press releases related to RENAISSANCE activities. SEPTEMBER 2001: RENAISSANCE Sound Technologies attends at IBC 2001 in Amsterdam in The Netherlands, at TOP FORMAT MUSIC & SFX Hall 3 stand number 249 from 14 to 18 September. The International Broadcasting Convention is the world's premier broadcast technology event. The show covers all the key areas of the electronic media business including audio, cable, film, grip, internet, lighting, multimedia, production, post production, radio, satellite and transmission. The event consists of an exhibition, conference and programme festival. Within the 40,000 square metres (430,400 square feet) of exhibition space visitors will find over 800 companies including every major supplier of broadcast technology. COME VISIT RENAISSANCE ST AT TOP FORMAT HALL 3 BOOTH N 249! JUNE 2001: RENAISSANCE produced the surround soundtrack for ALFA ROMEO Convention "Together To win" RENAISSANCE produced all signature tunes, and openings, and the surround sound SFX of the official movie. The entire production is created in Dolby Digital 5.1 frame by frame sync. The production had an huge success thanks to the impact of Dolby Digital sound together with an impressive wide projection of 3D graphic images on six screens. 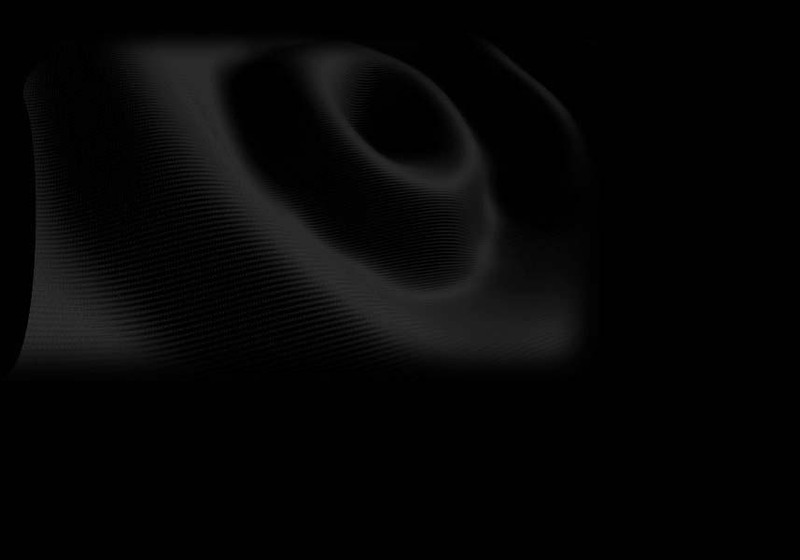 Frequency room presents a surround music track that covers - during its musical evolution - the entire full frequency spectrum that can he heard from the human ears (20-20.000 Hz). Visitors listen the surround full frequency music soundtrack standing over a vibrant platform that enables them to a frequency-vibrations body-feeling experience. The Sea room presents a system of sensors that activates a sea wave surround sound that cross the room and goes back 'n forth around the visitors and in the same time activates a smell of sea essence for a "virtual sea immersive ambience". APRIL 2001: RENAISSANCE SFX attended at NAB 2001 in Las Vegas at SOUND IDEAS three booths. NAB2001 is the world's leading conference and exhibition for the converging electronic media communications industries. Produced annually in April, The NAB Show delivered the most comprehensive showcase of digital communications technologies including every element of television and radio broadcasting, film/video production and post production, audio production, multimedia, the Internet, satellite and telecommunications. MARCH 2001: GAM - Contermporary Art Museum, Turin. Surround sounds, Sensors, Lights, Dancers, Actors…what else? An incredible multimedia artistic performance presented by Riccardo Mazza with his multi-interactive software environment developed for Renaissance Sound Technologies. A new artistic multi-cross-media language that bring audience into a new immersive art-landscapes. Light sensors, Skins sensors, Touch sensors and others interfaces created to control and generate real time surround soundtracks according to logic and harmonic parameters. FEBRUARY 2001: Renaissance goes East! During last MIDEM 2001 in Cannes-France, Renaissance Sound Technologies signed an exclusive distribution agreement with SAKURA NOTES (Japan) for the distribution of Renaissance SXF Library in the territory of Japan. DECEMBER/JANUARY 2001: BASICNET collection 2001. "Surround Fashion" at BasicNet with Renaissance Sound Technologies! For BasicNet, the Robe di Kappa company, RST created the surround sountrack environment for the official presentation of the new 2001 BasicNet collection. A multidimensional surround sound application with 4 different sound areas: from an "airport & industrial like surround ambience" to the "decompression area" where jungle and nature effects sounds bring visitors into a relaxing and quiet bar area. Renaissance double its creation at the MONACO Fashion Fair (Lipo), always for the BasicNet booth. NOVEMBER 2000: ETRUSCHI at Palazzo Grassi, Venice. Renaissance Sound Technologies designed and produced three surround sound installations for the ETRUSCHI exhibition at Palazzo Grassi - Venice. Three surround sound environments to evocate the etruscan spirit ambiences. A big success for Renaissance: the official press-release of the art exhibition opened with a special mention to the high-impacting and fascinating sfx created by RST. Picture: Renaissance sound engineers at work, installing the surround multi speakers system in Palazzo Grassi. OCTOBER 2000: PAC, Milan. Surround with multi-sensor system. Renaissance developes an interactive system for the contemporary artwork of DeParis presented at PAC: a multisensor system that activates different surround sound motions and sound environments as well as an immersive autogeneration musical system. OCTOBER 2000: RENAISSANCE SOUND TECHNOLOGIES produced and mixed the Dolby Digital 5.1 music soundtrack, composed by Riccardo Mazza for the contemporary artist Simone Aaarberg Kaern. The art-publisher Marco Noire Contemporary Art presents the video performance at Pusan Contemporary Art Festival in South Korea (from october 2 until November 27th). OCTOBER 2000: for Renaissance Sound Technologies Riccardo Mazza created an artistic interactive surround spazialization environment at Gallery Art Artiscope – Zaira Miss of Bruxelles for ARTISSIMA Art Exhibition that helded in Italy (Turin), from 5 to 9 october 2000. SEPTEMBER 2000: RENAISSANCE SFX attended at AES 2000 in Los Angeles from 22nd until 25th September 2000. The 109th edition of the Audio Engineering Society Convention entitled “Surrounded by Sound” helded from September 22nd through the 25th. To learn more about this year’s program, visit the AES Web site at http://www.aes.org/events/109. The 109th Audio Engineering Society Convention-with the largest exhibition of professional audio technology in the world-is taked place at the Los Angeles Convention Center. SEPTEMBER 2000: RENAISSANCE SFX attended at IBC 2000 in Amsterdam in The Netherlands, at TOP FORMAT MUSIC & SFX booth (n. 3.159), from 8 to 12 September. For This year's IBC has over one thousand companies involved. The International Broadcasting Convention is the world's premier broadcast technology event. The show covers all the key areas of the electronic media business including audio, cable, film, grip, internet, lighting, multimedia, production, post production, radio, satellite and transmission. MAY 2000: For the second year RENAISSANCE has produced all surround signature tunes for the FILA worldwide convention As well as in any other production by RENAISSANCE, the whole process of music and effects creation was made in surround by using a frame by frame sync for 3D graphic images projected on wide 3 screens with an amazing effect on the audience. APRIL 2000: RENAISSANCE SFX attended at next NAB 2000 in Las Vegas at SOUND IDEAS three booths. NAB2000 is the world's leading conference and exhibition for the converging electronic media communications industries. Produced annually in April, The NAB Show delivers the most comprehensive showcase of digital communications technologies including every element of television and radio broadcasting, film/video production and post production, audio production, multimedia, the Internet, satellite and telecommunications. FEBRUARY 2000: RENAISSANCE SFX attended at last 108th AES Convention in Paris, from 19 until 22 February 2000, at Top Format Music & Sound Effects booth. With an extensive Convention Program and Equipment Exhibition, the first AES event of the new millennium presented technologies and ideas, both established and visionary. This Paris Convention was the ideal location to help guide you through the latest trends and technological changes. FEBRUARY 2000:RENAISSANCE SFX SIGNED A DEAL WITH SOUND IDEAS for USA & CANADA. Renaissance has just signed an exclusive distribution agreement with SOUND IDEAS. SOUND IDEAS, the worldwide leader distributor of sound effects, is now the exclusive Renaissance distributor in USA and CANADA. Thanks to these agreement Renaissance takes now a primary place in the sound effects scenary worldwide. JANUARY 2000:RENAISSANCE SFX IS IN EUROPE WITH TOP FORMAT. During last MIDEM in Cannes, Renaissance signed an exclusive distribution agreement with TOP FORMAT Bv (The Netherland) for all EUROPE. SEPTEMBER 1999: Renaissance starts to close the first exclusive agreements representation with agents worldwide. With EMI Publishing Renaissance sign the agreement for distribution in Australia, New Zeland, Fiji, Papua New Guinea and Singapore. AUGUST 1999: RENAISSANCE SFX website is now on-line. Customers can check the entire sound effects database and get all the technical information about the library as well as the guidelines for a proper use of Renaissance surround sound effects. JULY 1999:RENAISSANCE SFX LIBRARY finally enter the market of sound effects libraries. Even if 5 CDs were expected to come out, the library comes out with 7 CDs full of surround sound effects, with a special packaging in a beautiful box. MAY 1999: RENAISSANCE produced all surround signature tunes for the FILA worldwide convention (by coincidence the name of the convention was "THE RENAISSANCE" !). As well as in any other production by RENAISSANCE, the whole process of music and effects creation was made in surround by using a frame by frame sync for 3D graphic images projected on wide 3 screens with an amazing effect on the audience. APRIL 1999: RENAISSANCE produced the surround soundtrack for BACARDI MARTINI annual convention. RENAISSANCE have organized the sound design of the location (speakers positioning and testing), and produced all signature tunes, and openings, over the soundtrack of the official movie. The whole production is created in surround by frame by frame sync. The production had a huge success thanks to the impact of surround sound together with an impressive wide projection of 3D graphic images on three screens.